It has been years since my grandmother sold the building and moved into a house (her hostas still run the yard, by the way, though they are in close competition with the peonies now), and today I could not tell you what grew in that garden aside from one thing: rhubarb. 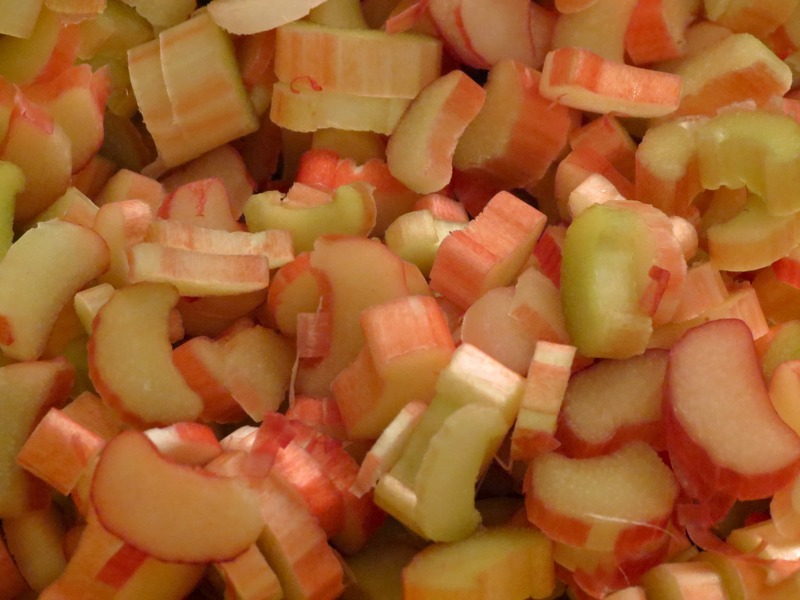 I have very distinct memories of my mother and grandmother harvesting bunches of rhubarb every spring, to later be turned into pies and crisps by my mother. Every spring I still look forward to rhubarb season. Finding those first bunches of rhubarb at the grocery store marks the beginning of spring for me. Rhubarb is in season for such a short time, but going through it without a slice (or two…or five…) of rhubarb pie is a downright atrocity. Maybe she didn’t use that many exclamation points. And maybe it was an email instead of a text message. Maybe I should invest in a better memory at the ripe old age of 23. 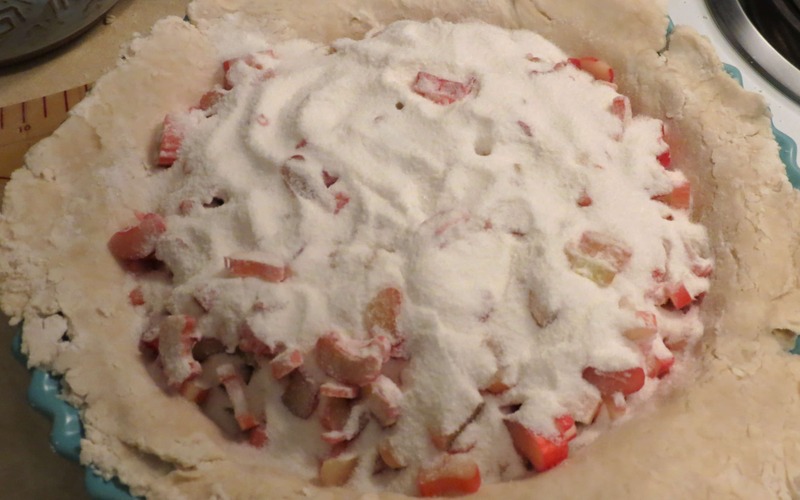 Regardless, her general sentiments were the same: Instead of mixing the flour and sugar with the rhubarb prior to baking, you sprinkle the flour-sugar mixture on TOP of the rhubarb. 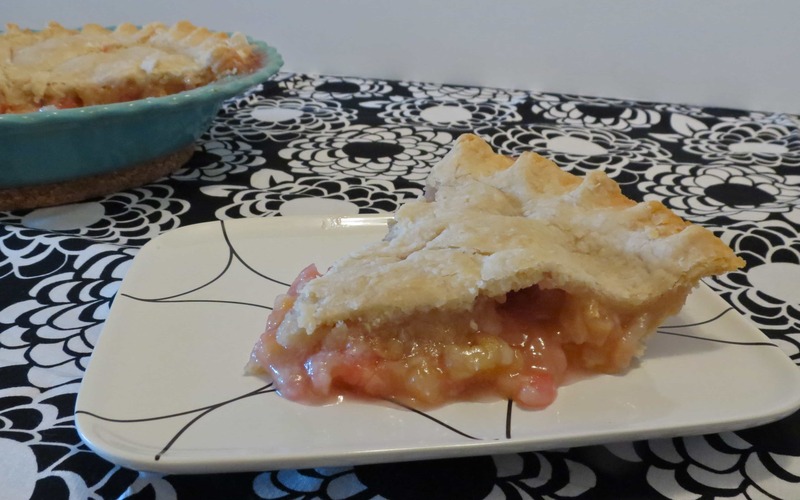 The end result is a rhubarb pie with a filling that is the perfect consistency, and a crust that is somehow the perfect crispness. It really is great. In fact, I would say that it is the perfect rhubarb pie. And, pat on the back, Boyfriend told me that this was the best pie crust I’ve made yet. See? It really does just take some practice. So patience, grasshopper. You’ll get it! 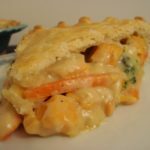 On the subject of pie crust and practice and how to achieve flaky perfection, would anyone be interested in me doing a pie crust how-to post? 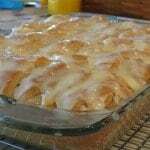 Now go buy yourself some rhubarb and get to baking! Preheat oven to 450 degrees. Move rack to lowest position in the oven. 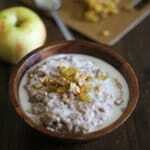 In a bowl, combine flour and sugar. Set aside. 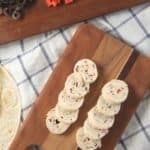 Roll out half of the pastry and place in a 9-inch pie plate. 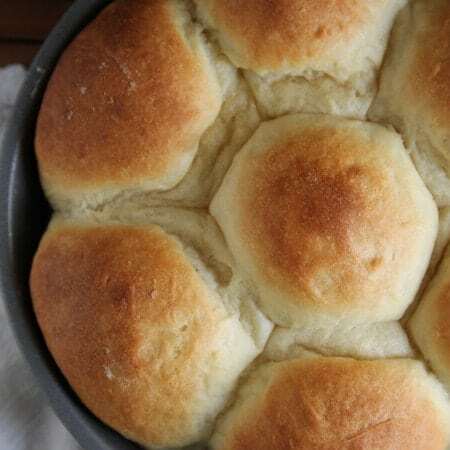 Chill the bottom crust while you roll out the top crust. 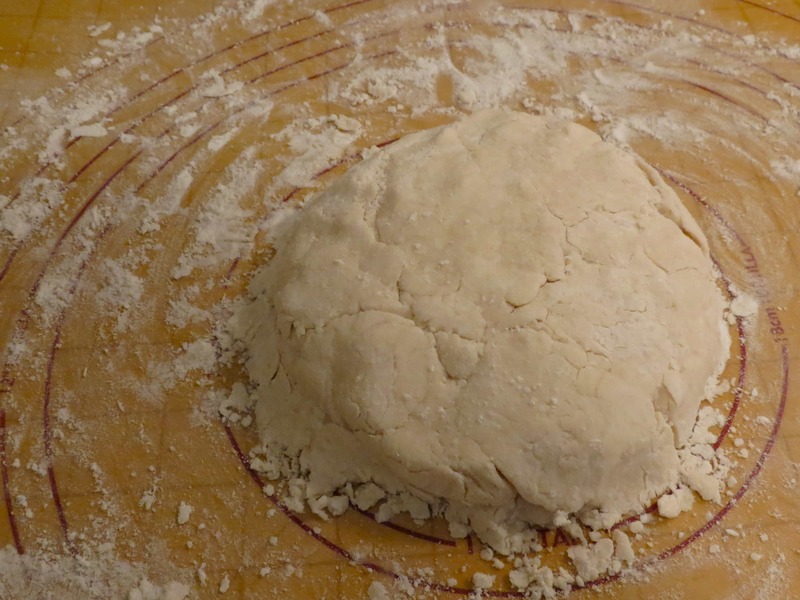 After rolling the pastry for the top crust, remove bottom crust from the refrigerator. 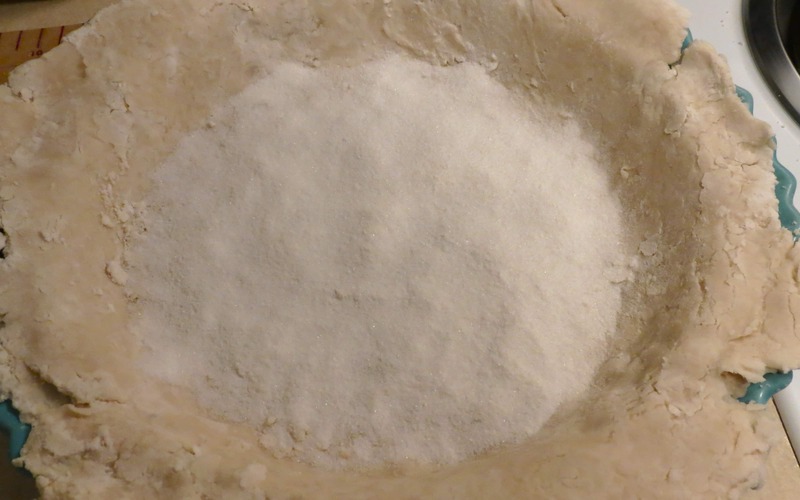 Sprinkle ¼ of the flour-sugar mixture over the bottom crust. 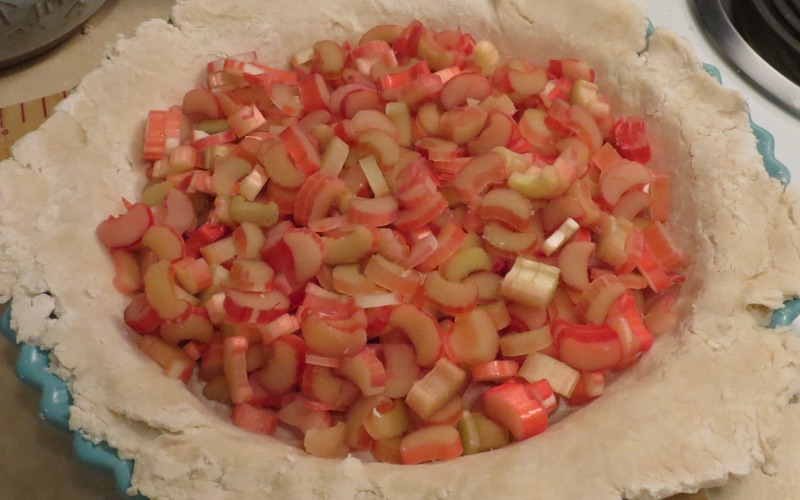 Pile the chopped rhubarb on top of the flour-sugar. 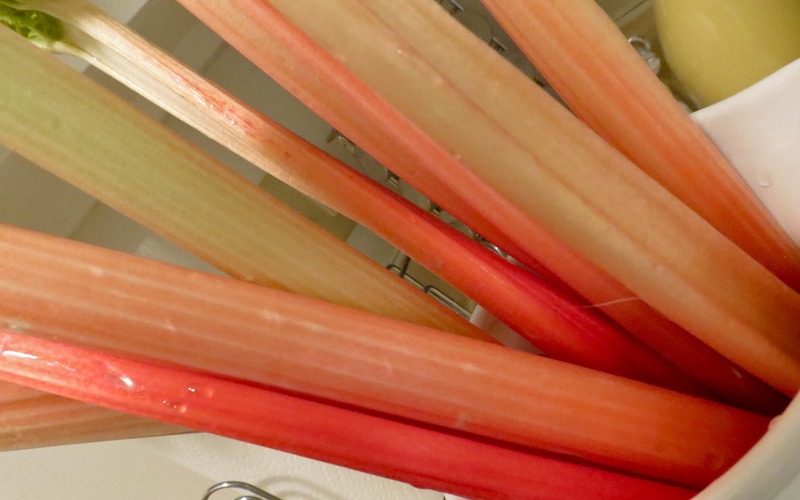 Sprinkle the remaining sugar mixture over the rhubarb. Top with the pastry for the top crust. Trim and crimp/flute the edges. Bake on the lowest rack for 15 minutes. 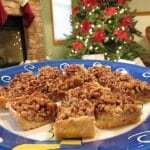 Reduce oven temperature to 350 degrees and bake for an additional 40-45 minutes or until crust is golden. 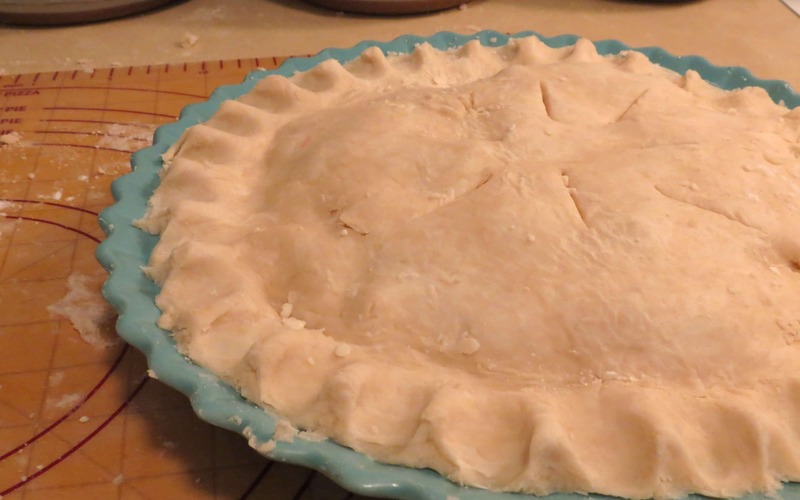 Check the pie after 25-30 minutes to make sure that the edges are not getting too brown. If you feel that they are, you can cover just the edges with aluminum foil to prevent them from darkening further. 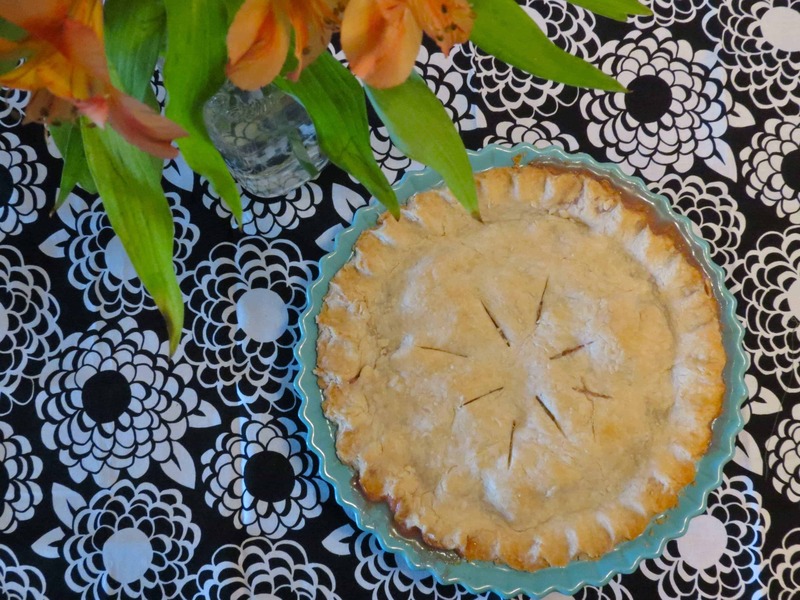 Yes-to all the perfect pie crust tips! This pie looks perfect! Seriously. Very impressive girl! 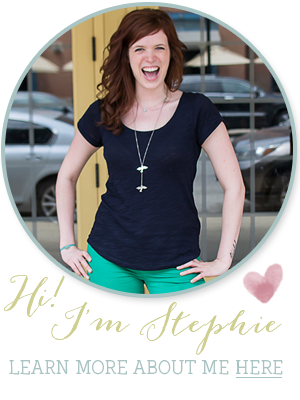 Looks delicious Stephie. Rhubarb is such a forgotten fruit. Think I’d have to make some piping hot custard to go with it, then I’d be in heaven. 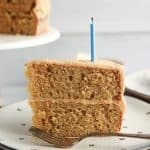 What a great tip for baking with rhubarb! I didn’t grow up with rhubarb because my Mom hates it, but I discovered it all my own and I looooove it!